Kay has been with our practice since 2005. She graduated from Medina High School in 1972. She enlisted in the U.S. Naval Dental Corps from 1972-1976. She continued her education at Cuyahoga Community College and graduated in 1988 with an Associates Degree in Applied Science. She worked for a practice in Wadsworth from 1988-2005. 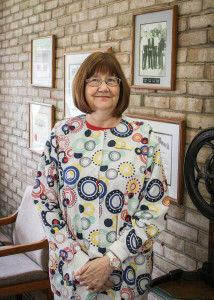 She has worked as a hygienist for almost 30 years. Kay likes to spend time with her husband and she also likes walking the parks of Medina with a close friend. Kay also has two granddaughters who keep her busy after school and on the weekends.